This post was originally published on Patreon in January of 2018. If you become a supporter for $1 a month you gain access to a brand new, patron exclusive post every month, along with the entire back catalog of Patreon posts. A few of them eventually make it onto this blog, but most remain available only to financial supporters! 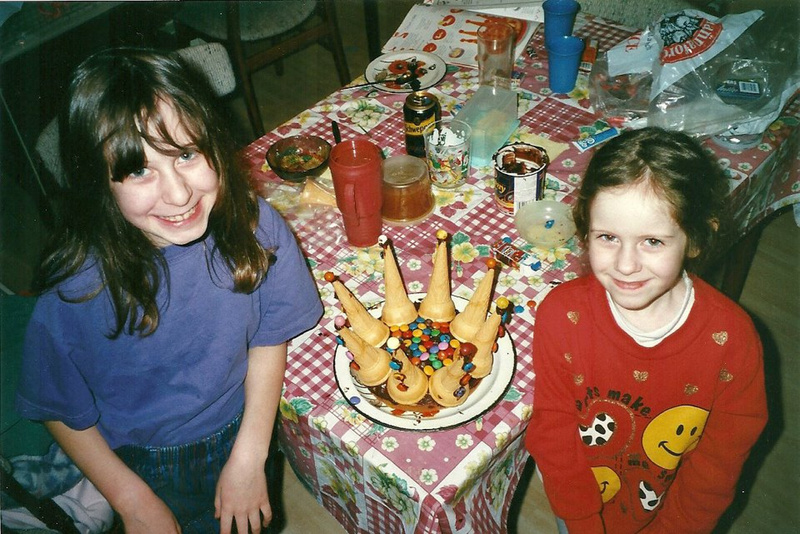 Me and my sister were always welcome in the kitchen. This one even crops up in self-directed learning spaces every now and then, and seems to show such a strange view of how humans function. It’s as if some people think that we’re born as blank slates, so devoid of any desires or drives that we must be taught to do even that most basic of all things: to learn. In reality, we come with that particular drive fully intact. It seems like a truly profound lack of respect to think children are incapable of this, when in fact it’s one of the things they’re absolutely best at. There seems to be an assumption that children want to make dangerous choices, and if given half a chance will waste no time in doing so. Yet while it’s certainly true that children lack the experience, maturity, or impulse control of adults, that doesn’t mean they lack all caution, all sense, or all desire to do good. Further, the way children learn is by doing. As my friend Nola said, “Use it or lose it. If you make your own decisions, over time, you figure out how to make better choices. It works for adults, and for kids too.” With a little guidance and reasonable expectations, children can be perfectly capable of making their own choices. Content, be it books, games, or otherwise should be educationally enriching, so the thought goes, and if that’s the case then surely children can’t be trusted to pick out their own things. It must then be left up to responsible adults to choose what’s best for their children to engage with. I’m saddened by this theft of discovery, taking away the joy of picking out your own books at the library, your own shows on (kids) Netflix, getting to develop your own unique tastes and style that’s separate and distinct from the adults in your life. It’s such a simple thing, to allow children to make their own choices about their media (as long as it’s within age appropriate bounds), but it means so much. Children deserve to express their own likes and dislikes, to have their own interests, and adults shouldn’t be getting in the way of that. There are myriad ways that children’s abilities are frequently undervalued and many avenues to gaining greater competency that are often denied to them. But in taking a life learning path, there are a lot more opportunities to respect children, to trust them, to allow them greater freedom, and to engage with them in meaningful activities. I hope that the more examples there are of living respectfully with children, the more others will see just how capable they can be.